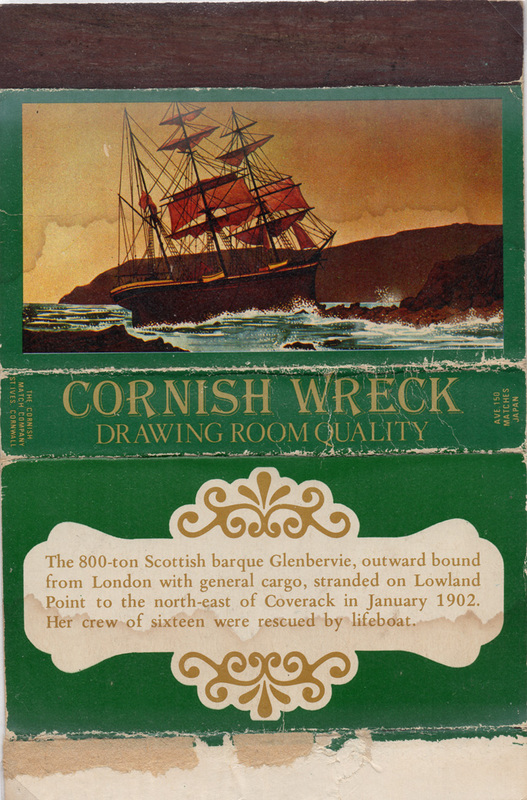 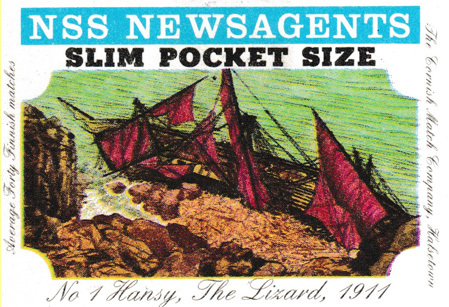 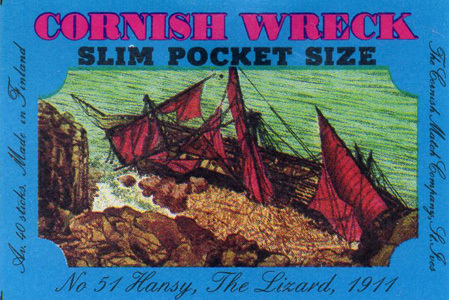 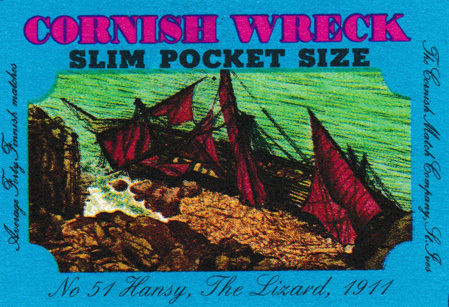 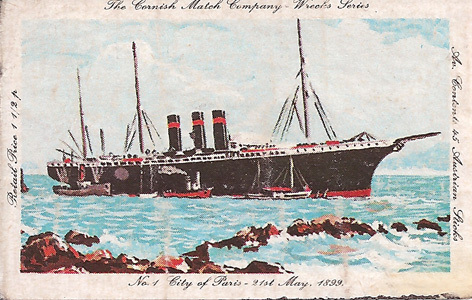 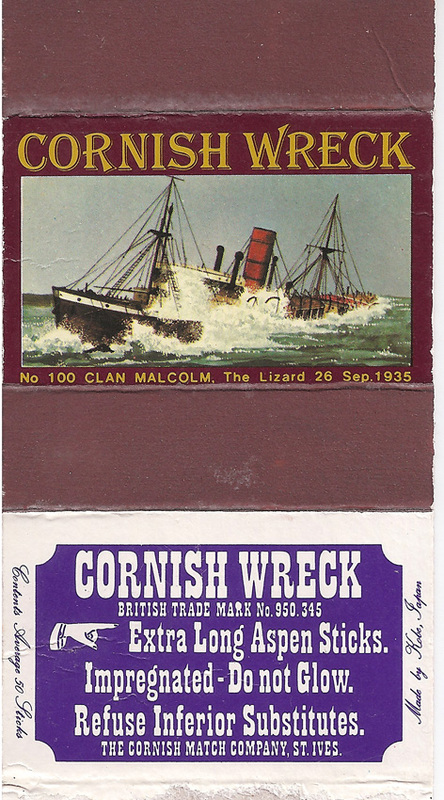 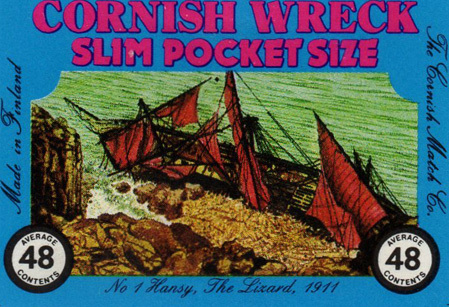 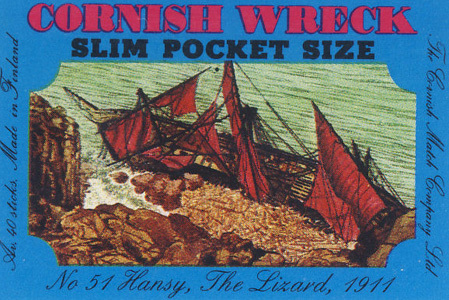 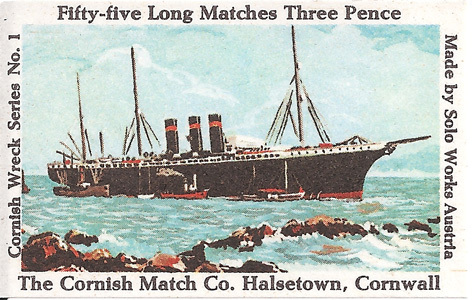 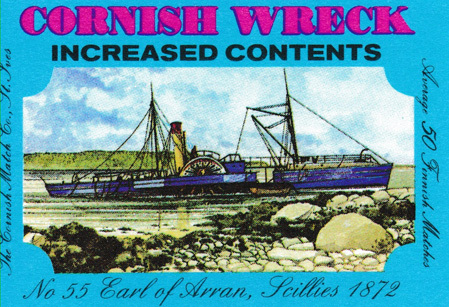 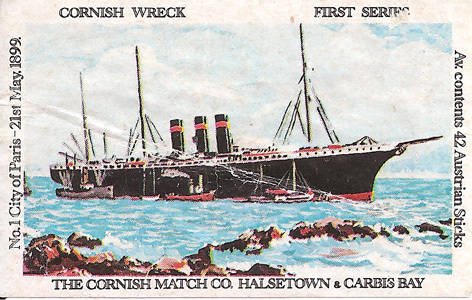 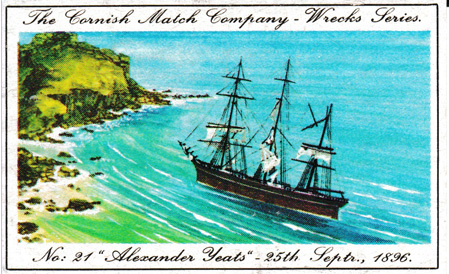 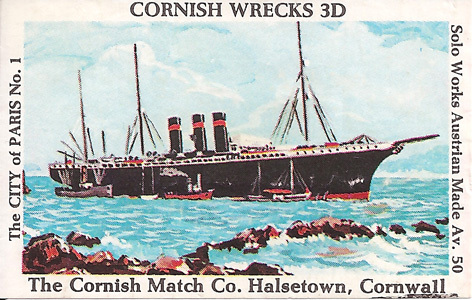 The Cornish Wreck series were issued by the Cornish Match Company between 1967 and 1977. 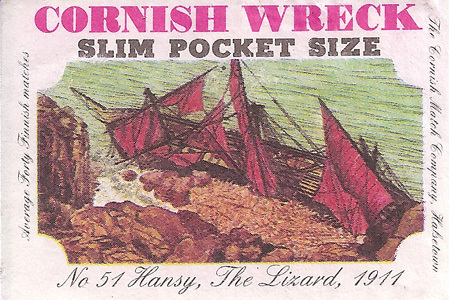 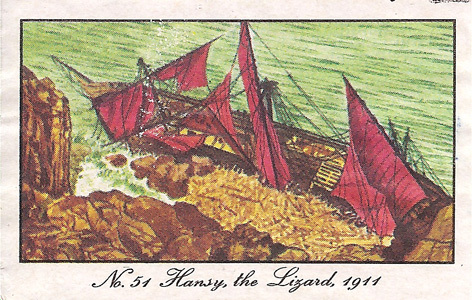 They are related to Old Cornish Mine because Jeanne Gougy in the Old Cornish Mine series was the first “Wreck” and became the inspiration for the Cornish Wreck series (“Heroic” number 45). 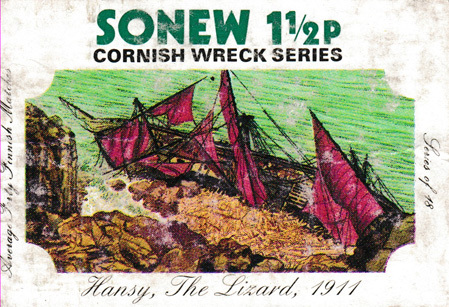 A total of 24 separate issues and 4 different series were made featuring 77 different ships and over 570 different labels. 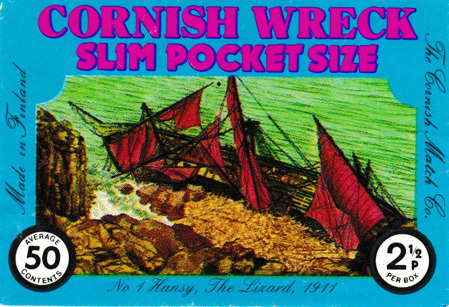 The first issue in January 1967 had just two labels because it was used as an experiment to see what the take up would be like. 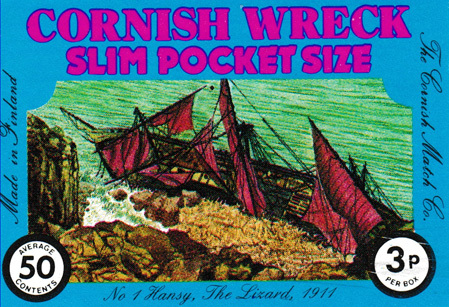 As this was successful the rest of the series followed some 12 months later. 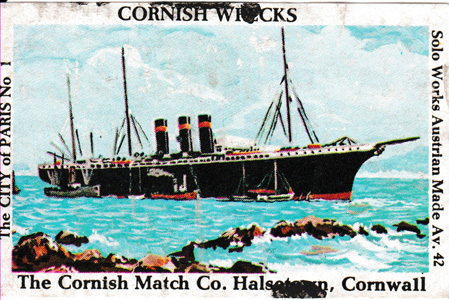 Click here to see a full list of labels. For more details on this extensive series see Ian Blewitt’s book.